The weather is warm, the sun is shining, and spending time outside is a must. Hiking? Biking? Running? Swimming? We can do it all. 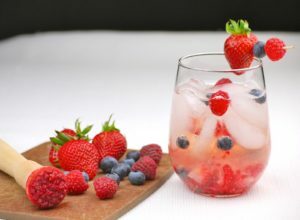 But being active also requires a refreshing drink to cool you off after you’re done for the day. Maybe an iced tea? Or something stronger – you’ve earned it, after all. 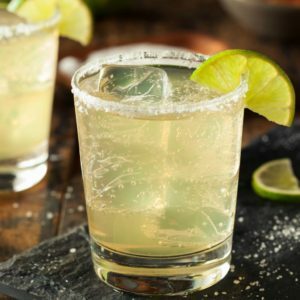 Agave is the perfect complement to cool summer drinks, whether boozy or alcohol-free: Just the right amount of sweet, and perfect on a patio. Why? Agave is made up of more fructose than traditional table sugar, which means agave is up to 20x sweeter, and means you don’t need to use nearly as much. Also, as agave has a lower glycemic index than other sweeteners, it doesn’t cause blood sugars to rise as high when you consume it. The glycemic index (GI) of agave is 32, which is half that of table sugar (GI 60-65), and a little more than half that of honey (GI 58), and pure maple syrup (GI 54). Plus, nothing breaks down and dissolves to mix into cold drinks quite as well as agave does. So, to add a touch of sweet without using sugar; to add the smooth flavor of honey without using honey, it’s really the best (the only…?) way to go. 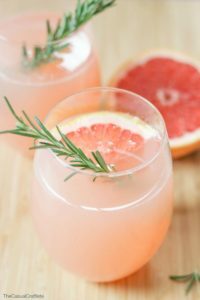 Now, on to the fun part: Here are a few seasonal sippers sure to keep you cool as a cucumber throughout these spectacular summer months. 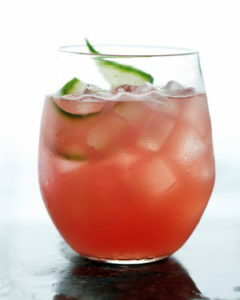 Add grapefruit juice, lime juice, cucumber, and syrup to a shaker and muddle. Add ice and shake mixture until cool. Strain into a glass. Add Sierra Mist. Top off with club soda. Combine 1 cup water, 1 cup agave syrup, and 6-8 sprigs of rosemary in a saucepan over medium heat. Bring to a boil, stirring occasionally. Remove from the heat and let sit for 10 minutes to let the rosemary infuse. Strain out rosemary. Transfer liquid into a jar and let it cool before using. Rinse your berries and herbs. Muddle or purée the berries with the juice of one lime, the mint, and agave. Add 3-4 mint leaves from two sprigs. Fill your glass with ice. Spoon your berry mixture over it. Top with club soda. Mix the spritzer using a cocktail shaker. Add remaining ingredients, shake and strain into a martini glass. Pour kosher salt into a small dish. Rub 1 lime slice over half the rim of an Old Fashioned glass (for a margarita on the rocks) or martini glass (for straight up). Dip rim of glass into salt. 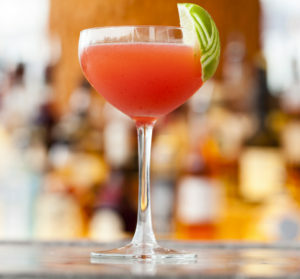 Combine tequila, agave syrup, and juice in a cocktail shaker; fill with ice and shake well. Strain into prepared glass. Garnish with second lime slice.